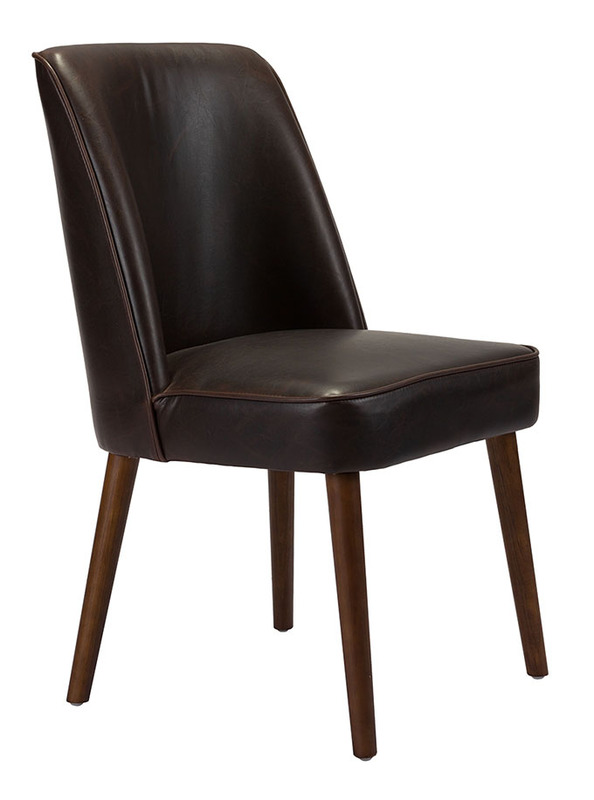 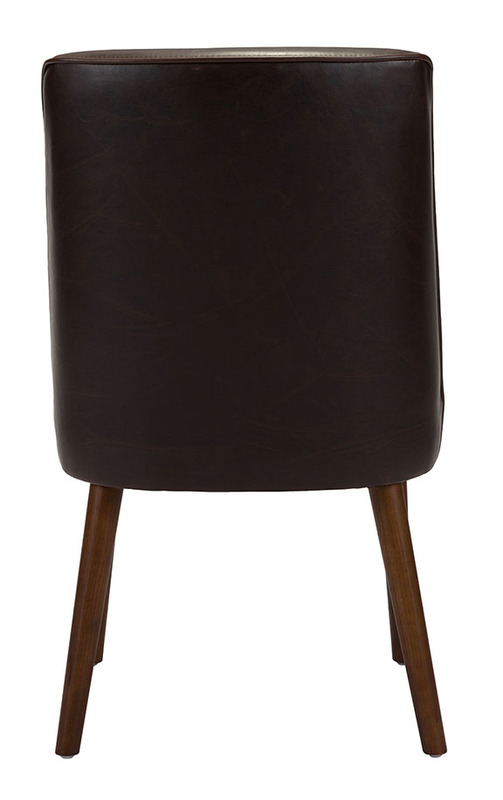 The Kennedy Dining Chair Brown features a retro modern design with a comfortable contoured backseat. 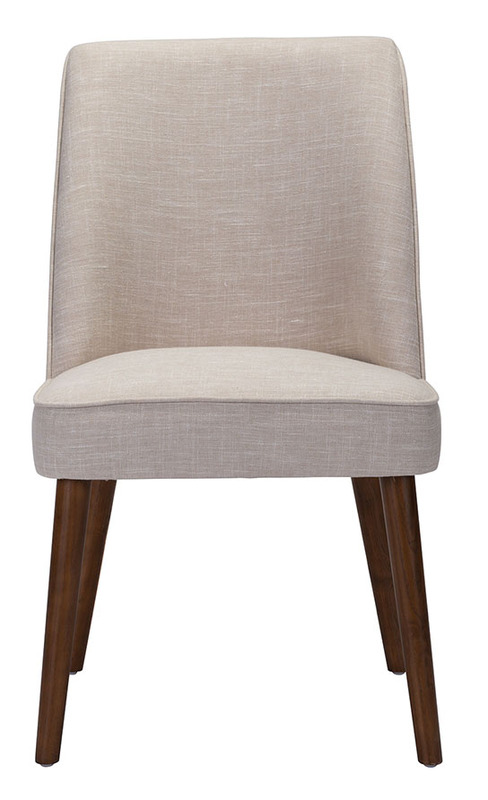 This dining chair is engineered using solid toon wood and is available in 2 fabrics; brown leatherette and beige linen blend. 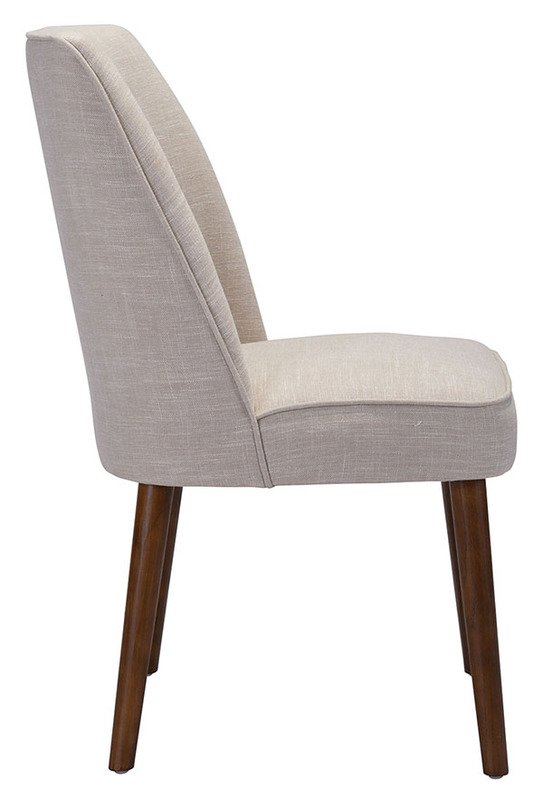 The Kennedy Dining Chair is sold in sets of 2.